Nuclear power has been hitting headlines both around Britain and the world for decades now, although coverage has been increasing in more recent years. There is strong opposition to the construction of nuclear power plants, however the movement also has its supporters, and the UK Government’s approval of new nuclear sites confirms that it definitely is a part of the country’s future energy plans. With nuclear power being such a divisive topic, it can be difficult to find neutral sources on its pros and cons. In this series of nuclear power articles, we’re going to give our unbiased account of why nuclear power is so popular in some circles, as well as delving into the factors that make it so controversial. Before we begin, let’s establish some facts. Nuclear power accounts for just over 21% of the UK’s electricity generation and has been used as a form of low-carbon power for 60 years. The Nuclear Industry Association claims that nuclear power helped to avoid 49 million tonnes of CO2 emissions in the UK throughout 2015. They equate this to taking 75% of the UK’s cars off the road, so it’s clear to see that – if these statistics are accurate – nuclear power undoubtedly has positive effects. Currently, there are 15 nuclear reactors in operation across the country, providing 65,000 jobs and countless more apprenticeships. Environmental effects aside, the argument for nuclear power as an economical boost in the UK is strong. Another advantage of nuclear power is the absence of CO2 production in the energy generation process. 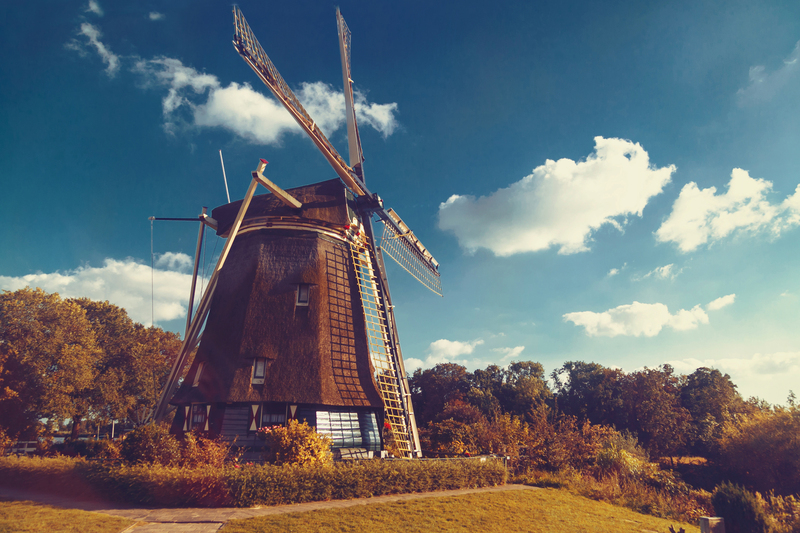 The fact that it’s carbon free sets it apart from so many other forms of energy generation. The actual method of creating nuclear energy relies on a process called fission to split an atom apart, releasing the energy held within it. The energy comes in the form of heat and radiation, heating water in order to produce steam. The steam, in turn, powers a generator, spinning a turbine to make electricity. Typically, the reactors are either boiling water reactors or pressurised water reactors. Boiling water reactors heat up the water until it turns into steam to power the turbine. Pressurised water reactors, on the other hand, heat water to just below boiling point and then pipe it to another water supply to become steam, spinning a turbine. Nuclear waste is a radioactive material produced during the fission process. Its high radioactivity levels mean that it can be dangerous to be close to, so the material is often left in storage for its radiation and heat to decrease before its disposal. Long term plans in the UK for nuclear waste disposal involve storing it deep underground in impermeable rock, to block the radiation and minimise its effects. Alternatively, the waste can be vitrified which means that it is turned into glass making it “impermeable to water and chemically stable”. In this form, it’s also easier to store and can be kept above-ground in specialised facilities. 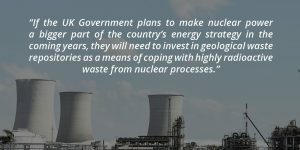 If the UK Government plans to make nuclear power a bigger part of the country’s energy strategy in the coming years, they will need to invest in geological waste repositories as a means of coping with highly radioactive waste from nuclear processes. There are only so many times that the reactor fuel can be reused before it must be disposed of and, with a half life of 4.5 billion years, the long-term effects of uranium can’t be fully understood yet. Another area of waste that comes from nuclear processes concerns the boiling water used to produce steam. A large nuclear power plant may use up to 1 billion gallons of water a day so they are often positioned next to rivers, lakes or oceans to draw water from. Once the steam is used to power the turbine, it condenses and can be reused in the generation process. However, when it’s eventually pumped back into the river, lake, or ocean which it was originally drawn from, it is still very hot and can increase the temperature of the body of water by 30 degrees. This has such negative impacts on the sea life – a topic that people seem acknowledge when it comes to microplastics, but which isn’t always mentioned in discussions surrounding nuclear power. 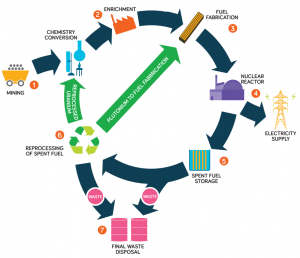 While this cycle of water usage isn’t as harmful as radioactive nuclear waste, it’s clear to see that the processes used in power generation here do have their disadvantages. What about the future of nuclear power? It’s no secret that the UK’s population is growing significantly and with that comes a greater demand for power. In spite of these increases, the Telegraph reports that 35% of our current energy capacity will no longer exist by 2030, further highlighting the need for new forms of energy generation in the UK. The Government predicts that energy reforms might cost up to £110 billion, following the closure of oil, gas and nuclear power stations over recent years. As a country, we need an extra 60GW of energy to “break even” and, in order to meet carbon reduction goals, the sources of this energy must be low-carbon, sustainable, and affordable. Further to this, the Telegraph reports that we need a combination of sustainable energy sources, as a single solution will not have the capacity – or the reliability – that’s needed to meet the UK’s energy demands. 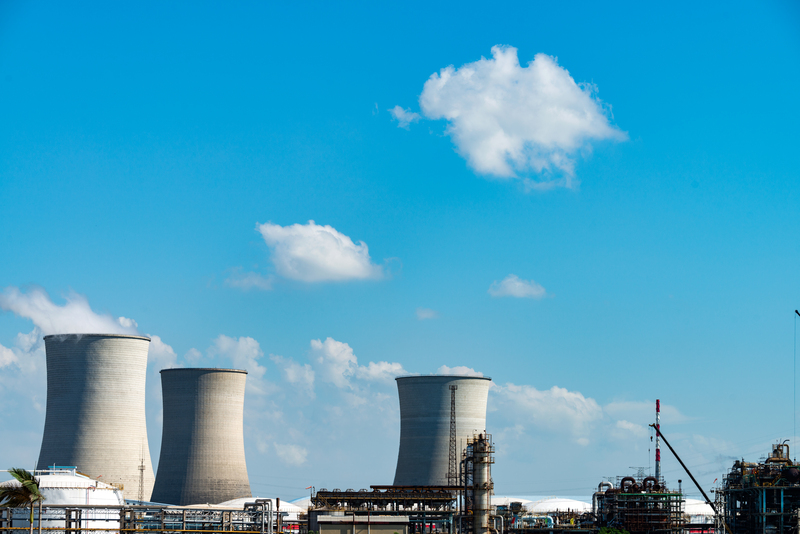 The next few years look to be interesting for advancements in the UK’s nuclear power sector. There are EDF’s Hinkley Point C and Sizewell C nuclear power stations being constructed in Somerset and Suffolk, and Horizon Nuclear Power’s venture with Hitachi. These three projects alone promise to power millions of UK homes and employ tens of thousands of people. Whether or not nuclear power is a popular solution to the country’s energy demands, these developments are very much going ahead and, until new, equally-viable solutions are suggested in their place, it looks like nuclear power is here to stay.